Summer… oh how I love summer! While we haven’t been camping just yet, we’ve done a few home improvement projects. Last weekend, what we anticipated would be a cheap Saturday single-day project turned into a slightly spendy, multi-weekend one. I will openly admit – I am horrible at home decorating, including picking paint colors or matching anything together. One piece of advice though, when choosing the right white to paint a coffee table, make sure the white chose isn’t a brighter, purer white than the white paint on your living room walls. Otherwise, the newly painted pure white coffee table will be so bright it will make the rest of the house look incredibly dingy. Ha ha. Hard lesson learned. On the bright side, over the last 2 weekends AJ and I learned how to make our own chalk paint, how to properly chalk paint furniture, how to distress it, and how to wax it. 😉 That certainly counts for something! Since we weren’t going camping this past weekend, I promised the girls we would make s’mores, and I would make homemade graham crackers. Fortunately, I delivered on that promise. These Gluten Free Honey Graham Crackers taste just like what I remember graham crackers tasting like. Slightly toasted, sweet, and light and crunchy. They are the perfect vessels for s’mores and all that homemade Fluffy Corn-Free Marshmallow and oozing chocolate goodness! For this recipe, I tried something new. Instead of rolling out the dough out between 2 layers of parchment paper, I separated the dough out into 2 separate disks and then rolled the disks of dough out in gallon-sized sealable bags. Doing this ensures the dough is rolled out in a near-perfect rectangle, making it easier to cut into even sized crackers. A quick 30 minute chill in the refrigerator ensures the bags of soft dough harden up enough to maintain shape for cutting and transferring to a baking sheet. This method was slick, and nearly foolproof! In addition to eating these delicious graham crackers whole, I’m sure the crumbs would also make an amazing pie crust. My mouth waters a bit at all of the possibilities! What will you make first with your homemade Gluten-Free Honey Graham Crackers – s’mores, pie, etc? These crackers are ready to bake! 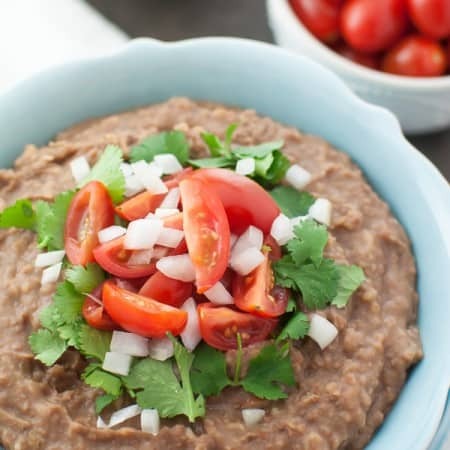 In a large mixing bowl, whisk together the sorghum flour, tapioca starch, millet flour, organic brown sugar, psyllium husk powder, ground cinnamon, baking powder, baking soda, and sea salt. Cut in the coconut oil until the mixture resembles coarse crumbs. Add the honey, vanilla extract, and 4 tablespoons of the cold water. Stir, and continue to add the cold water, tablespoon by tablespoon until the mixture forms workable dough. Divide the dough in half and form each half into a disk. Place each disk into the center of a gallon-sized sealable bag (so you have 2 bags filled with dough). Remove the excess air from the bag and seal it. Roll the dough out so that it is evenly flat and reaches all four corners of the bag (if necessary, open the bag and readjust the plastic). Roll the second bag of dough. Lay both bags of dough out flat in the refrigerator, and refrigerate for at least 30 minutes. Preheat oven to 325 degrees (F), and line 2 large baking sheets (or pizza stones) with parchment paper. 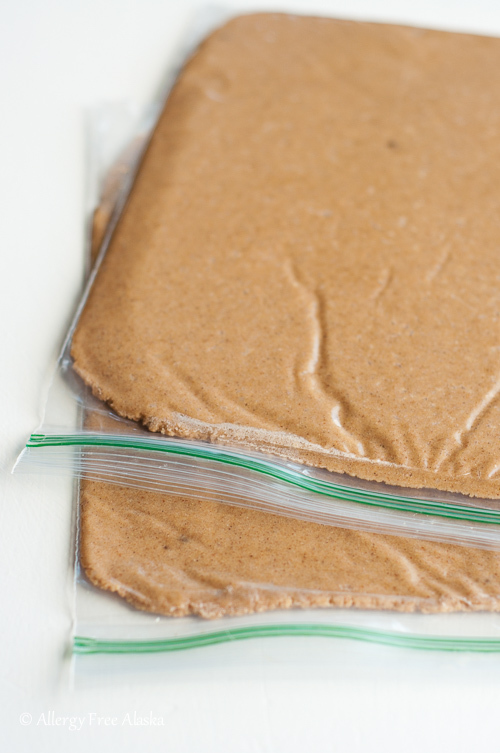 Remove the first bag of dough from the refrigerator, unseal it, and cut the bag to remove the top layer of plastic. Use a pizza cutter to cut the dough into squares or rectangles. Carefully use a spatula to transfer the crackers to one of the prepared baking sheets. Prick each cracker 2-3 times with a fork if desired. Repeat this step with the second bag of dough. Bake for 22-26 minutes, or until the crackers are golden brown, and slightly deeper golden around the edges. Transfer to cooling racks and cool completely before enjoying. Crackers will be soft when hot, but will crispen as they cool. Enjoy plain, or make s’mores with these Fluffy Corn-Free Marshmallows with Coconut Sugar, or my Real Food Strawberry Marshmallows (also corn- free). 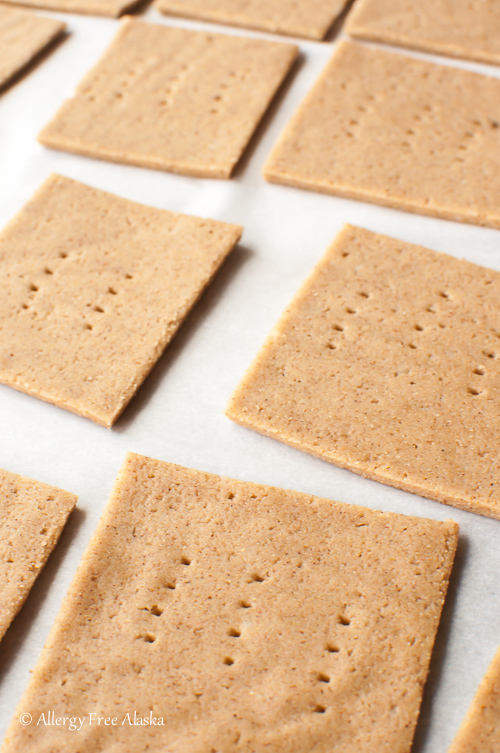 If it's an extra warm summer day, and you're having an issue transferring the cut crackers to the baking sheet because the dough is too soft, invert the crackers (while they are clinging to the final layer of plastic) over the baking sheet and then pull back the layer of plastic. You can bake the dough whole, as is, with the cracker edges touching. Gently break apart the crackers after they are finished baking. 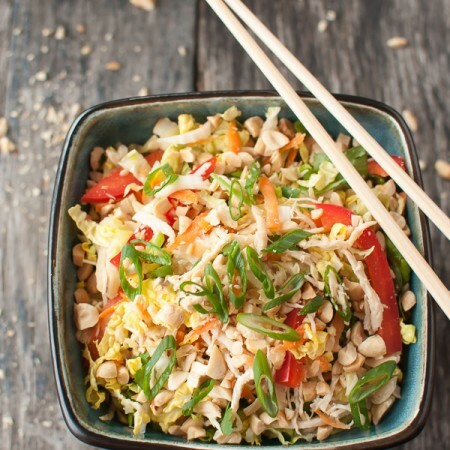 This recipe is linked to Fat Tuesday, Allergy Free Wednesdays, and Gluten Free Wednesday. BRILLIANT idea with the gallon bag!! We will be camping soon and the I told the kids we would make graham crackers and marshmallows before we go. Your site is just the place for both!! Thanks! We took these camping last weekend and they were a HUGE hit!! My husband says they are the best he has ever tasted and the kids moaned and groaned sighs of pleasure in between S’more bites exclaiming how much they loved them. 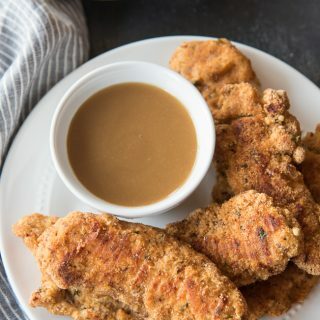 Thank you for an easy and delicious recipe!!! Can’t wait to try these! I have psyllium husks but not in powder form, are they interchangeable? Thanks! They are not interchangeable; however, you can easily powder whole psyllium husk by giving it a quick whirl in a blender or a coffee grinder. 😉 Thank you – I hope you enjoy them! Megan, this is amazing- I can just imagine how much better those S’mores tasted with this as the base! I have really missed graham crackers. It happens that I have all the ingredients so I’ll be making them today. The gallon ziplock bag for rolling is genius Even though you didn’t think of it yourself you’re a genius for using and passing along the idea. Thanks!! 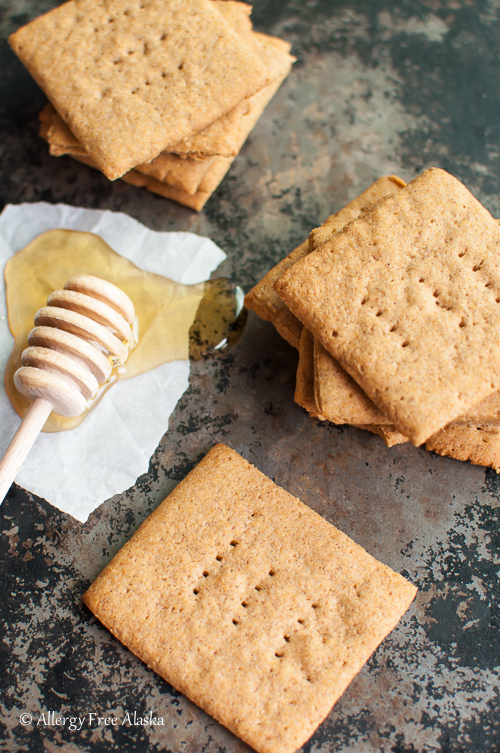 Now these Honey Graham Crackers … oh my, they look phenomenal! I agree with everyone else that the ziploc bag was a great idea (although I already have a fear that my batter/dough would stick to the bag LOL). Anyway, thanks for this great recipe, Megan! Yes, the whole paint fiasco was all very enlightening! AJ and I couldn’t help but laugh at our naivety. At least we known now for all future projects, and at least it was just a coffee table. 😉 Can you imagine picking colors for a house and making a mistake like that?? Yikes! 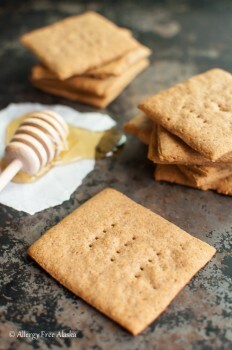 Could I try making the graham crackers with molasses instead of honey? The ones I miss had molasses flavor. These graham crackers are so attractive. The idea of using gallon size baggies to roll out the dough is clever, and I like the idea of less mess while baking. You just made my day! I was just lamenting the other day about how I would be unable to enjoy s’mores this year because I had yet to find a gluten-free alternative! I cannot wait to try these out! Thank you so much. I love your site!! 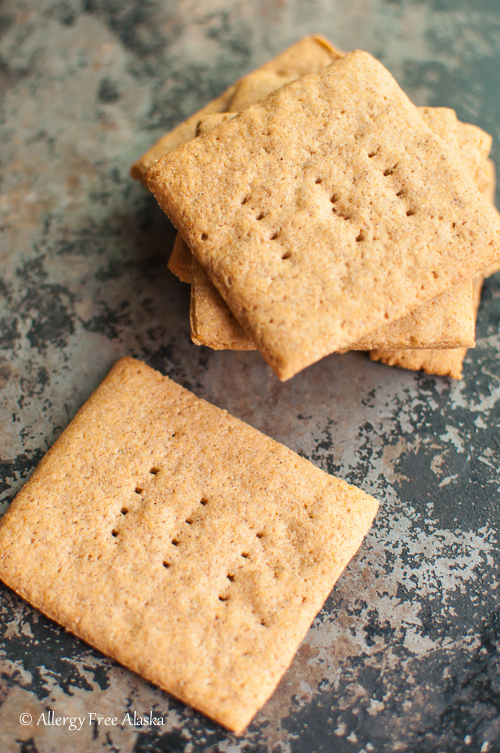 I have tried the store-bought gluten-free graham crackers and they seem so thick and hard…. especially for a s’more. 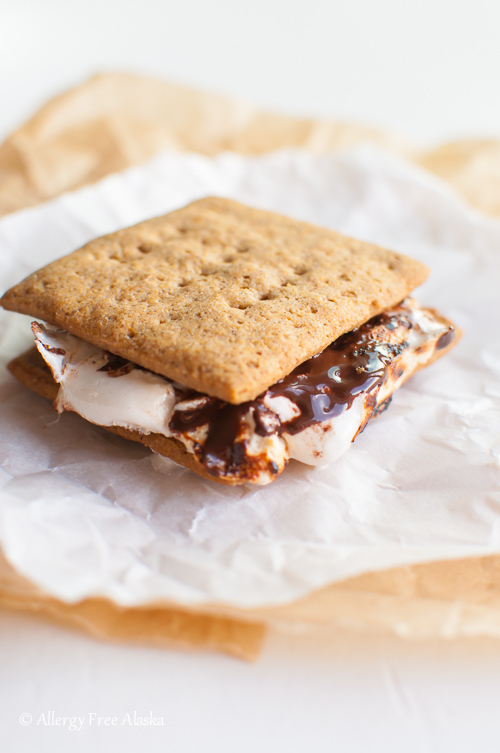 These look amazing and I can’t wait to try them… for s’mores…. dust them with cinnamon sugar and dare I think about my much beloved and missed chocolate covered??????? Thank you! I wanted these to be more like the graham crackers that I remembered (pre-gluten free), so they do have a crumble to them, yet not overly so. 😉 And I love your idea of cinnamon and sugar, or chocolate covered!! Delicious! OKAY YUM!!!!! I NEED to adopt this into my diet by making a few swapparoos!!! LOOKS AMAZING! These look so great! And yay for psyllium husk powder. Can I just admit that I LOVE a good plastic bag hack? Brilliant. This would be a great way to store roll-out cookie dough for the freezer. I am so impressed with these! You know, I totally want to fly up to Alaska to hang out with you and eat S’mores with your homemade graham crackers and homemade marshmallows! YUM! I love graham crackers! Thank you! You bet, Latha! 😉 Thanks for stopping by! They look really nice Megan! They don’t have Graham crackers (or S’mores!) in Scotland, they use Digestive Biscuits for cheescake bases and things like that. They look so lovely and I will need to try them, I get a bit tired of the store bought GF/GF cookies, home made is always better! Just a thought!… Chocolate ones!!! ? Feeling very excited for s’more!!! ? Is there something I could use in place of the psyllium husk powder? Our son is allergic to many things, and we are unable to use this. Thanks! Hi Jennifer, hmm… that’s a great question. Maybe finely ground chia seeds? Can he have those? I can’t have psyllium or chia. Do you have a suggestion for a substitute? Hi Ann, you can definitely try 1 teaspoon of xanthan gum as a substitute, just know I haven’t tested it in this recipe.